When I was growing up we often went to my grandparent’s house on my mother’s side. This quaint home was a very interesting place. In the early years there was no inside bathroom, even though there was running water for the kitchen sink, and the only source of heat was a Morning Comfort cook stove in the kitchen/dining area. If you stayed overnight in the winter grandma would warm a brick in the cookstove oven and then wrap it in a towel and place it between the cold sheets at the foot of your bed. Pop, as grandpa was called, ruled the roost with dictatorial fervor. You just didn’t get in his way, sit in his chair, use his drinking cup, move his fly swatter or break a myriad of other rules if you wanted to live! 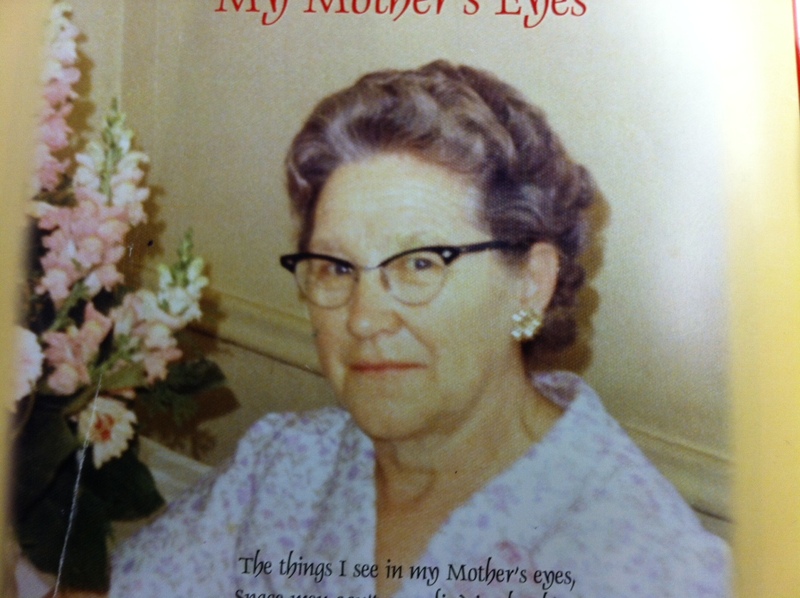 Grandma, or Maggie as she was called by her friends, knew how to handle Pop and she was an angel sent from heaven. I know of no other woman in my life who changed the course of history as she did for her family. She did it with a quiet but undying faith in her Savior and an unconditional love for the people around her, sometime in very trying circumstances. She was a worker and she knew how to serve and was a picture of humility. For the purposes of this blog I will switch to calling her Maggie as Gus would have called her. 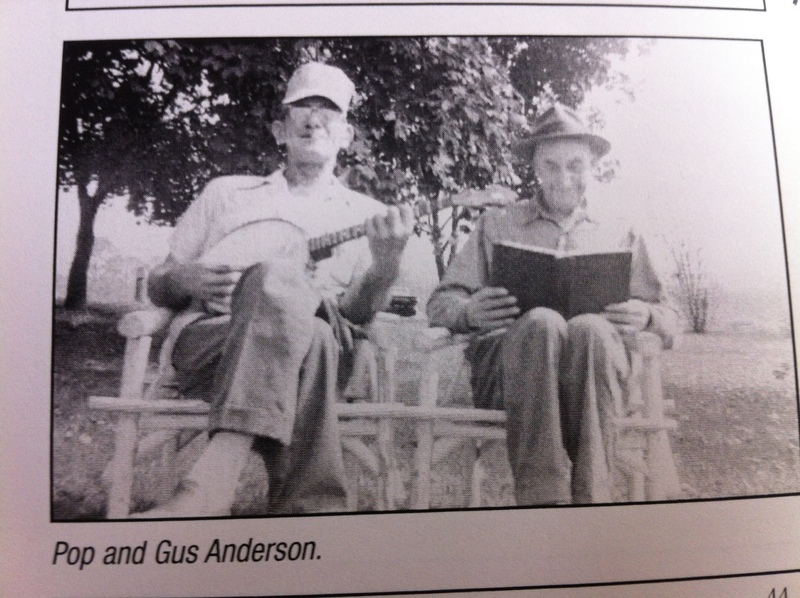 Who was Gus Anderson? He was just one more poor soul that Pop brought home for Maggie to serve, which she did so well for anyone who stepped into her humble abode. I remember Gus as a slender softspoken and kind man who wore one of those fedora hats and was kind of hunched over in the shoulders. Gus hailed from New York City and came to the area with his family and he was already somewhat advanced in years. For some unknown reason his family left and he remained. Having no place to live, a small rectangular shack, which might have been a train car in bygone years, was provided for him by a kind neighbor, and it was just across a small field from where Maggie lived. Maggie and Gus became buddies. When it was butchering time farmer Elliot would call on Maggie and Gus to come help with some of the tasks we would call “dirty jobs” today. Like scrubbing the coarse hair off of a pig after it had been dipped in scalding water. Or how about scraping the insides of the intestines clean so that they could be used to make sausage? This was Maggie’s specialty and for these menial tasks she and Gus were rewarded with a plenteous supply of meat. Gus and Pop got along real well too, especially when Pop was ready to “tie one on” and that was often. Maggie didn’t participate but the clean up job always fell to her and she never complained. As Gus’s age advanced he became ill with cancer and this was in the days before the treatments we have today. Gus had no family, but praise God he did have Maggie as she stepped in and took care of him in his dying days. She’d walk across the field and deliver meals to him, tidy up his house, wash his clothes and talk to him and encourage him in his weakness and solitude. As Gus became less and less mobile she would be his nurse and do for him the things that only nurses have the stomach to do until the day he died. Maggie knew how to serve and to love others just like her Savior did. Is there a Gus Anderson in your world today? Serve him like Maggie would.